1. What is the code for “Aspirant”? 2. What is the Code “Good person”? 3. What is the Code for “Twenty Eight”? 4. What is the Code for “Logical Thinking”? 5. What Could ‘N10@’ Stand for? Directions (6- 8): Study the given information carefully and answer the given questions. In which of the following expressions will the expression ‘H > J’ be definitely true? 7. Which of the following expressions will be true if the expression ‘P ≥ Q > R ≥ S’ is definitely true? Which of the following expressions will be true if the expression ‘P ≥ R < T = Q’ is definitely true? Directions (9 - 10): Study the following carefully and answer the given questions. 9. How is J is related to K in the given Expression K %H*I@J$O? 10. 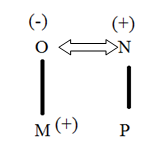 Which of the following expressions represents M is Brother of P? 1) What is the code for “Aspirant”? 2) What is the Code “Good person”? 3) What is the Code for “Twenty Eight”? 4) What is the Code for “Logical Thinking”? 5) What Could ‘N10@’ Stand for? 6) In which of the following expressions will the expression ‘H > J’ be definitely true? 7) Which of the following expressions will be true if the expression ‘P ≥ Q > R ≥ S’ is definitely true? 8) Which of the following expressions will be true if the expression ‘P ≥ R < T = Q’ is definitely true? Directions (9 – 10): Study the following carefully and answer the given questions. 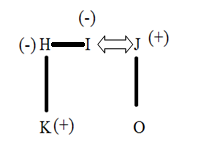 9) How is J is related to K in the given Expression K %H*I@J$O? 10) Which of the following expressions represents M is Brother of P?